Today is my official blogiversary! On December 15, 2011, I hit publish on a post titled "A Case of Obsession." I'd been toying with the idea of starting a blog for a few months, and it was finally time to take the plunge. After discovering Goodreads the year before + filling my RSS reader with tons of book blogs, I knew I wanted to be a part of this community. But I never expected to love it the way that I do. I'm so thankful to have had the opportunity to meet many of my favorite authors. There are two independent bookstores that are within driving distance for me, and they frequently host incredible signings that I've been able to attend. I know just how lucky I am to live near them both! Through Avid Bookshop and Little Shop of Stories, I've been able to meet Colleen Oakley, Rainbow Rowell, David Levithan, Tahereh Mafi, Veronica Rossi, Cynthia Hand, Brodi Ashton, Sarah J. Maas, Susan Dennard, Gayle Forman, Stephanie Perkins, and Markus Zusak. And Emily Giffin at a local Barnes & Noble was my very first book signing - an experience I won't forget! But those are the only signed books on my shelves! I've been blessed with incredible friends who have sent me signed books by Jojo Moyes, Emery Lord, Jennifer Donnelly, A.C. Gaughen, Heather Demetrios, Lauren Graham, and Jenny Han. I've received some signed books from generous authors AND through bookish events, too, but I'll talk about those in a second. Book signings weren't even on my radar prior to blogging, but now I always keep an eye out for authors coming to my city! I love getting to meet the authors who have created worlds, characters and stories that have impacted me. It's so cool to get to hear them talk about their inspiration and their process. From listening to Markus Zusak tell a hilarious story from his childhood to fangirling with Tahereh Mafi about Team Warner, book signings have definitely been one of the best parts of the past five years. Before I started blogging, I'd never thought very much about the authors responsible for the books that I read. Well, except Jane Austen. I've spent a lot of time thinking about her! Other than that, however, I had favorite authors and would eagerly await new releases from them - but that was about it. I never thought about meeting them or getting to interacting with them online! Attending book signings changed that for me, but social media did, too. Existing in this bookish community and being social online has put me in contact with authors in a whole new way. Being able to tag authors in a tweet where I'm gushing about their book AND having them respond or favorite it makes me giddy. And that's just talking to them online! You can probably imagine my INSANE level of excitement when Liza Palmer sent me a handwritten note and signed copy of Nowhere but Home. Y'all, I think I died and went to heaven! When Erin Lindsay McCabe sent me a signed copy of I Shall Be Near to You, I squealed. And I'll never forget the time I mentioned I hadn't read a mermaid book yet and Elizabeth Fama offered to send me a copy of Monstrous Beauty. The kind note from Bethany Chase that was tucked inside the ARC of Results May Vary made my day, and I was overjoyed when Colleen Oakley sent me Close Enough to Touch. It's so exciting to be able to tell an author how much their book meant to me! I love fangirling over books, pushing them on other readers and to see other people discover authors that I'm so obsessed with. I can't forget to mention Book Expo America and YALLFest! In May 2014, I went to BEA with Betty. It was one of my very favorite things I've gotten to do because of blogging, for so many reasons. I recapped all my memories on the blog - Part I and Part II - if you're interested. I loved the bookish part of BEA, but spending time with my friends was definitely the highlight. Late night laughter at Insomnia Cookies, watching Rocky, sitting in a massive line waiting for Sarah J. Maas - it was a memorable few days, to say the least. And while I'm not sure that the event itself was actually worth it, I'd highly recommend taking advantage of any opportunity you have to meet the bloggers you've become friends with. After having such a great time at BEA, I started scoping out other bookish events. I came across YALLFest, a Young Adult book festival in Charleston, and everything fell into place for me to go with Alexa. The event itself wasn't our favorite, but we had SO much fun hanging out together. Eating delicious Southern food, calling Kelly to share our adventures, singing along with Taylor Swift's 1989 album in the car, staying up late talking about everything - I wouldn't trade those memories for the world! At both of these events, I was able to get books signed by Sarah J. Maas, Karen Abbott, Alexandra Bracken, Leigh Bardugo, Laini Taylor and more. My collection just keeps growing! When I started blogging, I didn't really picture myself becoming friends with other bloggers. I assumed I'd find people to chat books with, of course, but I wasn't expecting them to be "real life" friends. My main motivation for blogging was that I didn't feel creatively challenged at work and wanted an outlet to express myself. Combining that with a love of books and a little bit of boredom led me here. I'd been on Goodreads and subscribed to a number of blogs, but it wasn't until I started commenting on blogs and being active on Twitter that I started to truly get to know people. Before I knew it, I was texting with people - and not just about books! I'm so thankful for blogging for the people it's brought into my life. These friends are at the heart of all of my favorite bookish memories from the last five years. The pictures above are some of the gifts I've received from my friends - proof they totally get me! Alexa is one of the kindest people I've ever met, and she's always there to chat about or life, to plot new blog ideas and to fangirl over books. She inspires me in so many ways, but especially as a blogger. There's a reason basically all of my favorite blogging collaborations involve her! Betty never fails to bring a smile to my face and make me laugh with her crazy antics. She's willing to give me mom advice and answer my dumb questions. She makes it all look so effortless as she raises three of the cutest babies I've ever seen - and she makes it seem like her house is always having fun! Cassie is someone I talk to every single day, without fail. She can be feisty and a voice of reason, make me laugh and calm me down when I want to cry. She's full of ideas, works hard to make her dreams a reality, and loves people (and pupperz!) fiercely. She lets me tell her what to read, encourages my Starbucks addiction and needs to move to Georgia like yesterday. Ellice is my fellow Southerner, even though she still doesn't live close enough to me! She's sweet and generous and has given me some of the most thoughtful gifts I've ever received. I hope I'm able to meet her one day! Estelle is so creative and such a great sounding board when something's on my mind. I love watching her tackle and succeed at anything she puts her mind to! She inspires me with the way she challenges herself - with work, with fitness and with the things she's passionate about. Judith once surprised me with a Dutch copy of Pride and Prejudice - her thoughtfulness made me cry! Founding the Recaptains with her, Betty and Amber was so much fun, even if I was the worst recapper ever. 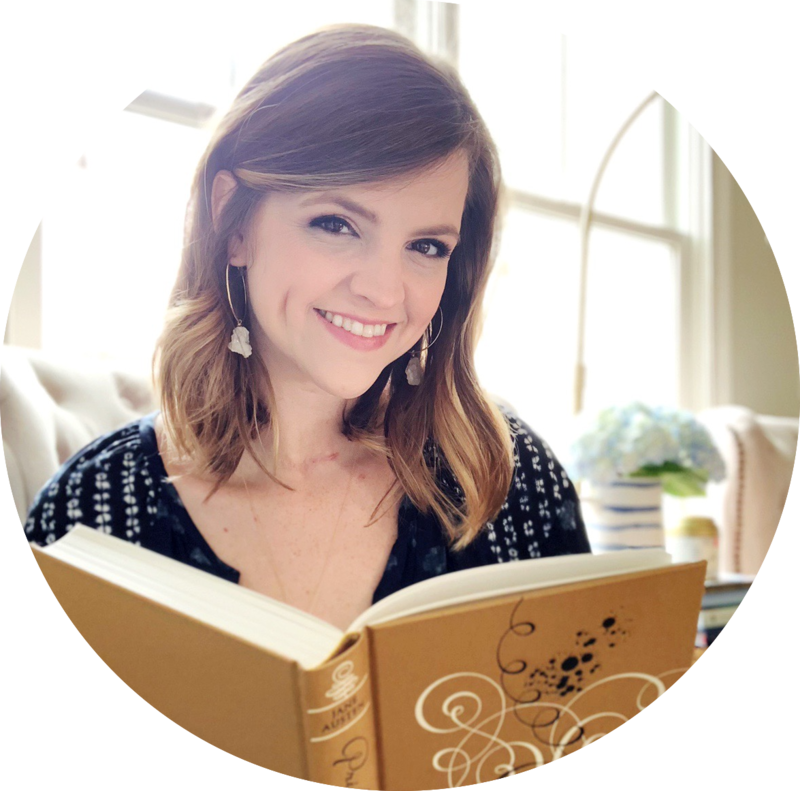 I miss seeing her blog posts in my reader! Kelly is the Sicilian sass I didn't know I needed in my life. She never fails to keep me on my toes! She's strong and independent, and I know she'll always have my back. But she's got a soft side, too - the way she's there whenever I need to vent and supports me through thick and thin. She shows up for the people she loves. Lauren is a bright spot in my blog reader! Her creativity and consistency with her blog inspire me, and I'm constantly bookmarking her posts to save them. I haven't gotten to meet her yet, but hopefully someday! Lindsey is my historical fiction and planner loving friend. I'm so glad got to meet her when she drove through Georgia because chatting with her over dinner was like hanging out with a friend I've known for years. Lisa is one of the most fun people to chat with! She's a self-confessed unabashed nerd, but she's also a thoughtful friend, awesome crafter and hardworking mama. Magan may not be blogging anymore, but I love keeping up with her little family through Instagram. The way she's opened her heart and home to others is one of the most beautiful things in the world. And I wish she lived nearby so I could hire her to take all of my family photos! Morgan is one of my favorite people to fangirl over things with! She's recommended so many great books to me, leaves the most thoughtful blog comments, has sent me some very sweet surprises in the mail and is definitely on my list of people I sincerely hope I get to meet one day. Rachel is someone that I got to know a little better last year, and I was excited to find out how many things we have in common! Our shared love of Audrey Hepburn and Anne of Green Gables are two of the biggest, but it doesn't end there. As you can probably tell, I've been fortunate enough to meet some fantastic people through this blog. Books may have brought us together, but there are so many more reasons that we became friends. And this isn't even an exhaustive list of all the people who've impacted me these past five years! Finally, I had to talk about my dream of raising a book-loving baby! It took two years of trying before I finally got pregnant, but my sweet boy was worth every minute of waiting. And while he's not quite old enough yet to appreciate all the books I'm reading to him, books have already been a part of his life. Long before I had a baby, I discovered the Baby Lit books. I sent my mom photos of them, picked them up when I was browsing in bookstores... basically anxiously awaited the day that I could finally buy them. So, you can probably imagine how emotional I was when my parents bought them for me after I found out I was pregnant. I took a photo of my giant pile of books to announce my pregnancy on Instagram - the start to the little library I've had so much fun building. In December last year, Nick and I found out we were having a boy. To celebrate, we finally went and bought a few outfits for the baby - it was like things started to truly feel real! But that's not all we did. After leaving my doctor's office, Nick took me to Ikea and bought me new bookshelves. He knew how much I wanted them, and updating my library was the perfect pre-baby activity. My friends at work threw me a book-themed baby shower. Everyone who came brought a book in lieu of a card, and I honestly can't tell you how touched I was by the whole thing. My friend made a wreath and banners from the pages of picture books and hung quotes from famous children's books on the wall. I felt so loved by everyone who was there that day! And finally, I can't forget about the baby shower in a box! I looked outside my door one day and spotted a GIANT box with my name on it. When I opened it up, I discovered a bunch of gifts from all of my blogging friends! Y'all, I cried. Since we all live too far away from each other to get together in person, they sent the baby shower to me. I get emotional all over again just thinking about it. So, needless to say, books have played a huge role in my life during the past five years. And although I haven't blogged as much this year, I still enjoy this space. I love the thrill of finding a new favorite book, the excitement when an author replies to my tweet, the anticipation of an upcoming book signing on my calendar, the joy of making new friends and the hope that I'll be able to raise a child who loves to read. I've made a lot of memories these past five years, and I look forward to so many more! Five Years of Favorites: The Lessons! It's posts like these that make me glad I decided to bite the bullet and start a blog...sounds like it's been a wonderful five years for you! 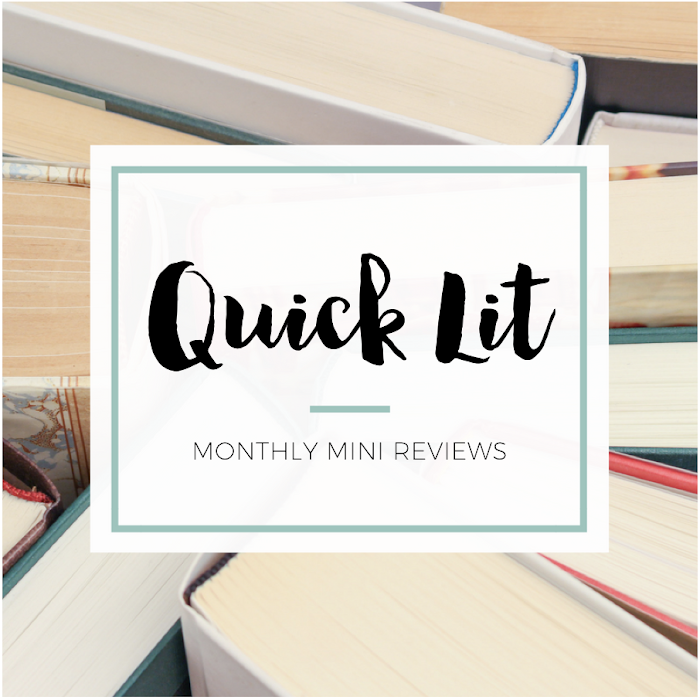 Book blogs are such a lovely little slice of the internet! I hope hope hope I get to meet you someday too <3 Your posts always brighten my day and you started the thoughtful mail first!! I love fangirling with you, be it bookish or non-bookish :) Thank you for the lovely shoutout, you're wonderful and an amazing friend :) And I love this post series! Interacting with authors is so great/mindblowing and I've really enjoyed the two conferences I've gotten to attend. So glad I found your blog and you!! !